Happy Easter 2017 !!! I’m not going to launch into a long polemic about historical accounts of Easter and the resurrection. If you want my thoughts on all of that read my chapter “What Peter, Paul, and Mary Saw” in this book: https://www.amazon.com/Thinking-Christian-Essays-Prod-Believer-ebook/dp/B01DGJ2OIM/ref=sr_1_1?ie=UTF8&qid=1492312589&sr=8-1&keywords=forrest+thinking+christian Instead I will turn my attention to Easter eggs, an enduring symbol of Easter. 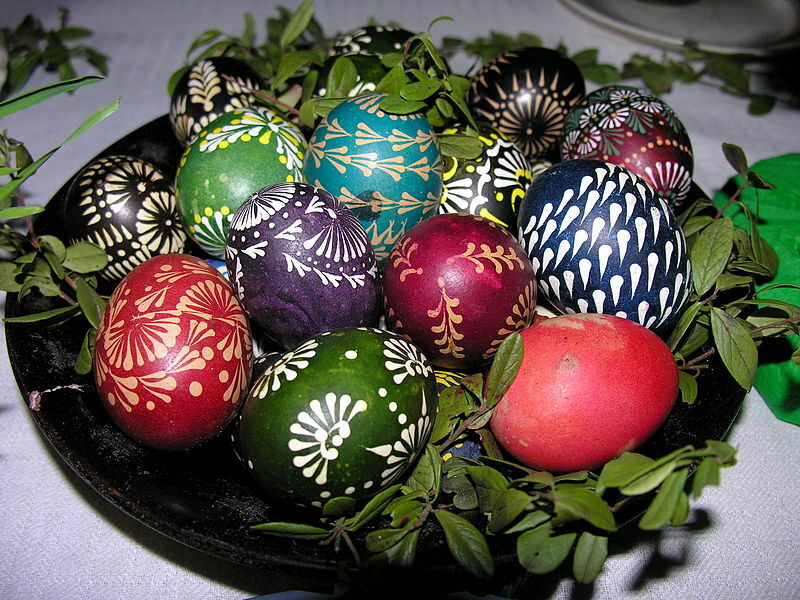 Displaying colored chicken’s eggs has been an Easter custom for a very long time; just exactly how long is a matter of debate. 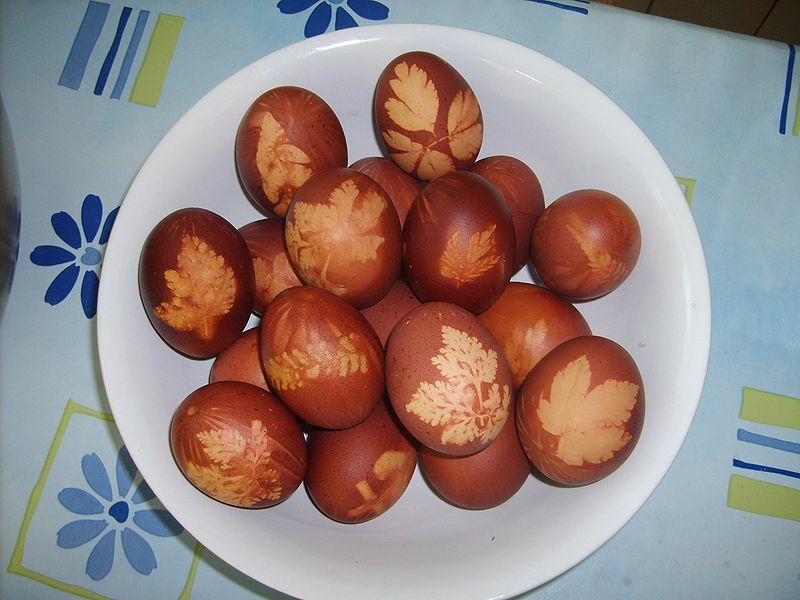 Decorating eggs in general is an ancient art. 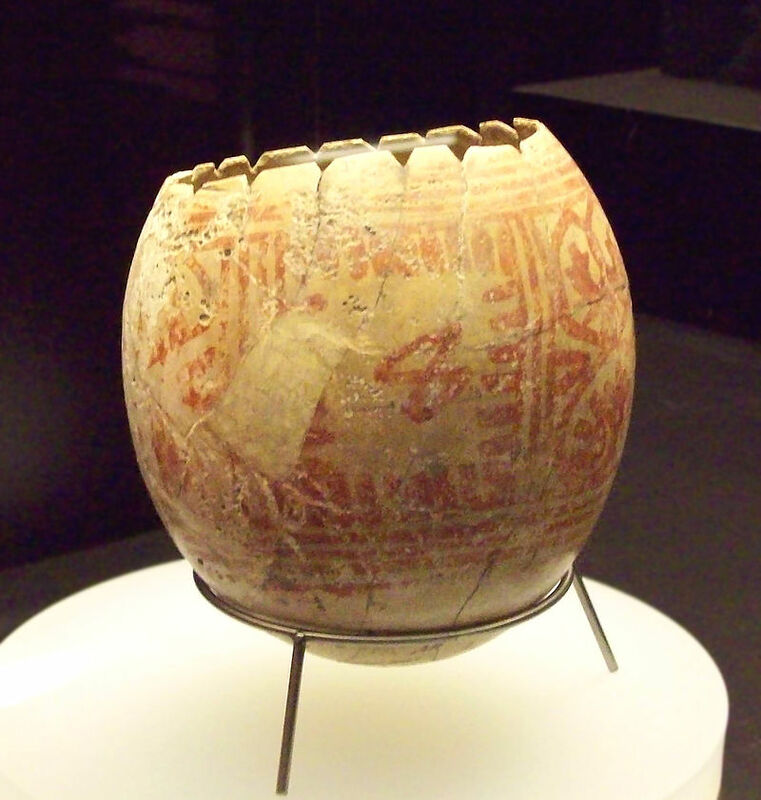 Furthermore, eggs have been an enduring symbol of death and rebirth in numerous Mesopotamian cultures for thousands of years. 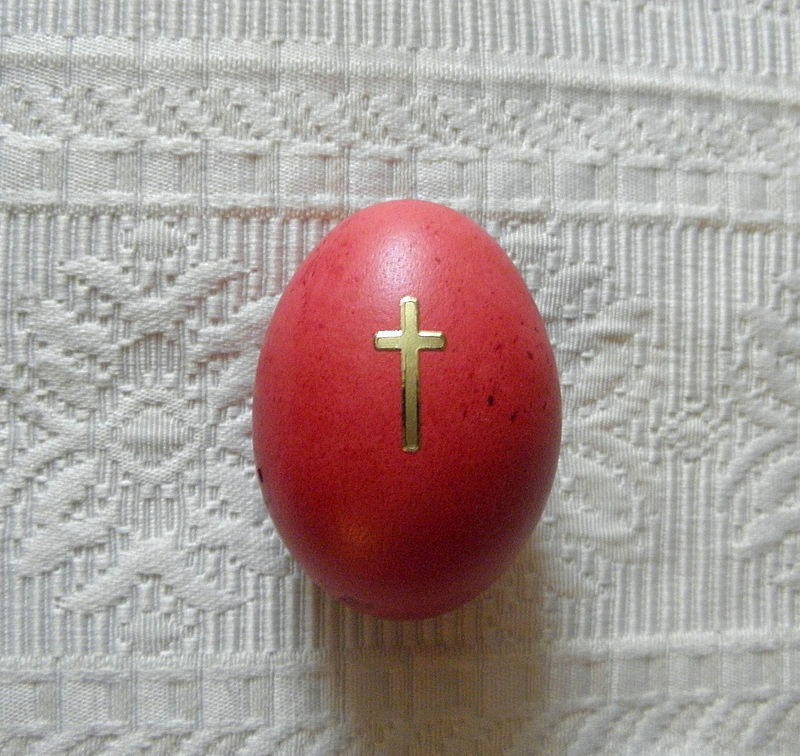 Thus, their association with Easter seems perfectly natural. What intrigues me is how diverse the traditions are these days. There seems to me to be some merit in the speculation that boiled eggs were eaten at Easter for practical reasons. In the Middle Ages eggs were forbidden during the Lenten fast in some traditions, but, being Spring time, chickens did not stop laying. You can keep eggs for quite some time without spoilage, but not forever. Three weeks is about the limit. Boiling them allows you to keep them a little longer, and then at Easter, when the Lenten fast is over, they can be eaten. Boiling them with certain natural dye materials, such as onion skins or some tree barks, adds a whole new dimension – including additional decoration. Let me just interject a quick note here about refrigerating versus not refrigerating fresh eggs. People in the US refrigerate EVERYTHING, including many items that should NOT be refrigerated. Chocolate, bread, and tomatoes, for example, will degrade much more quickly if refrigerated – but people do it anyway (not me!!). Eggs are complicated. Generally they are refrigerated in the US, but not in Europe. There is a reason for the difference. Eggs in the US are scrupulously washed before storage, and the washing removes a thin protective film which they acquire from the hen in the laying process, making the shells porous and open to invasion by harmful bacteria. So after washing they must be refrigerated. 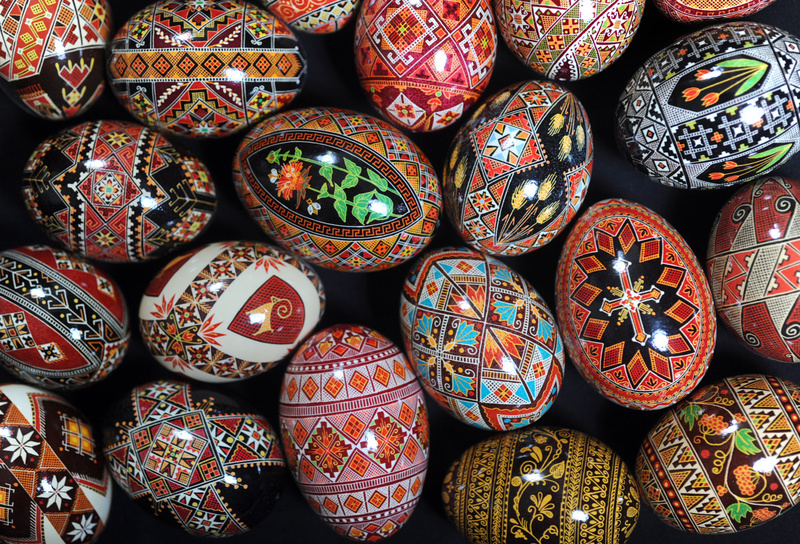 Eggs in Europe are not washed, so the protective film is preserved and they can be safely stored at room temperature. I prefer room temperature eggs for cooking under most circumstances, so when I lived in the US I had to take them out of the refrigerator some time before using them. Here in Italy there is no need – likewise when I lived in Argentina and China. Trying to change habits in the US is almost certainly a lost cause. 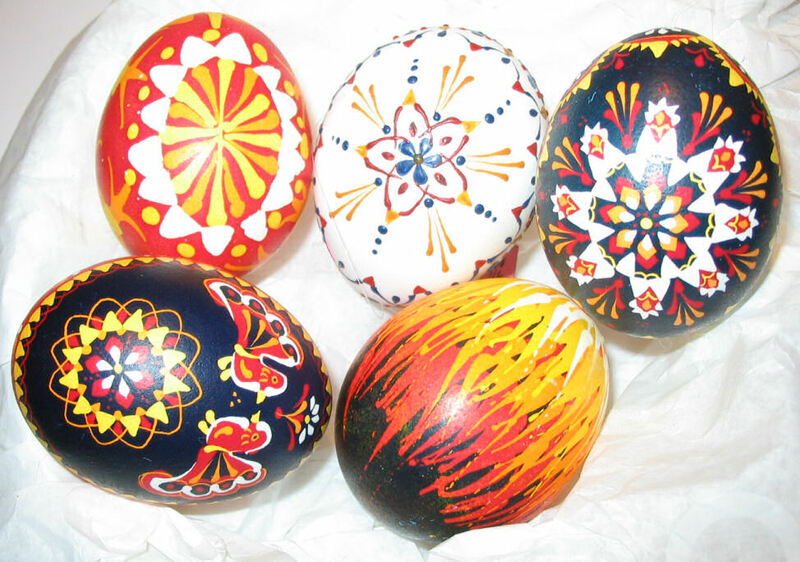 In eastern European countries, notably, Ukraine, a tradition of dyeing eggs in highly developed patterns using a wax-resist method (batik) has evolved into an art form that is still popular, with many regional variations. 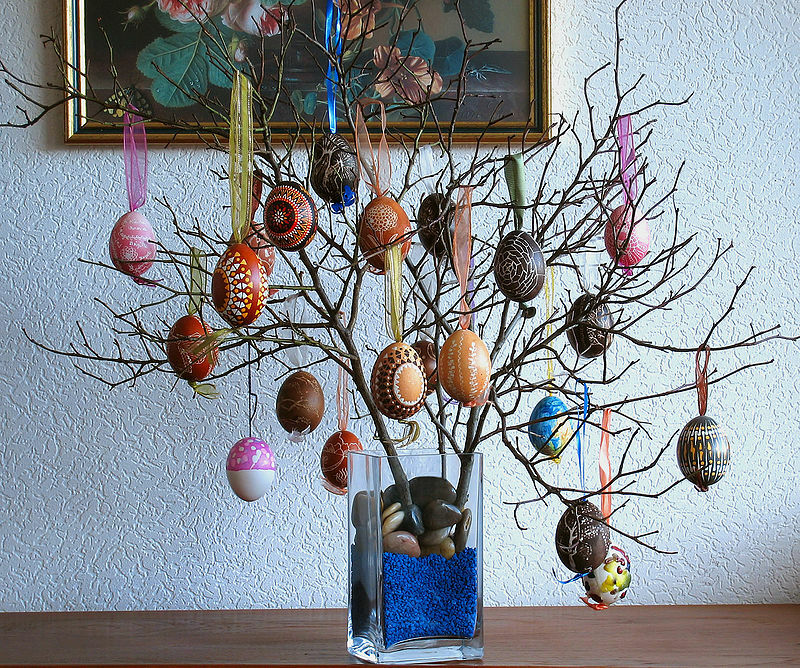 Similar traditions have evolved throughout Mediterranean and Slavic cultures, and sometimes displaying them on Easter “trees”. 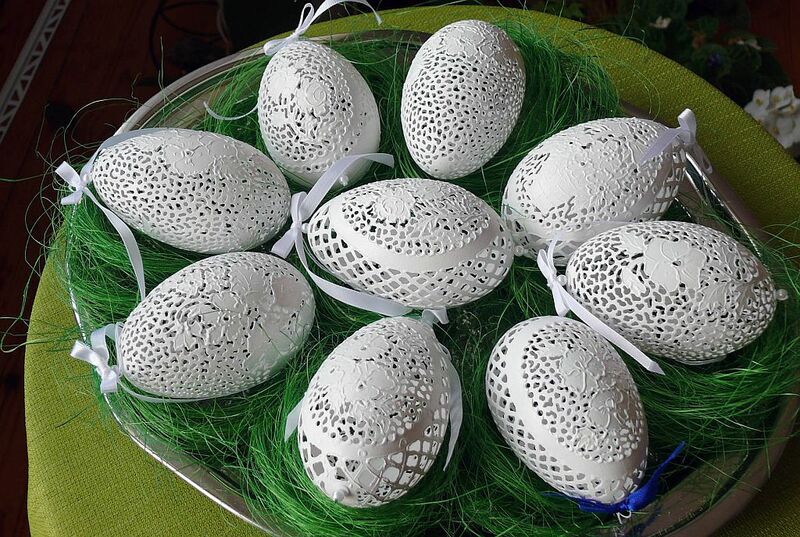 There is also a rather rarer tradition throughout Europe of carving lacey patterns into the uncolored shells. This is incredibly delicate work that requires years of practice. 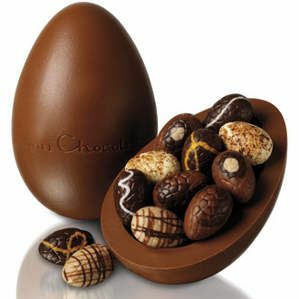 Chocolate eggs are a relative newcomer to the Easter scene; not possible until the perfection of techniques for making solid chocolate in the 19th century, allied with industrial processes for making hollow shapes. 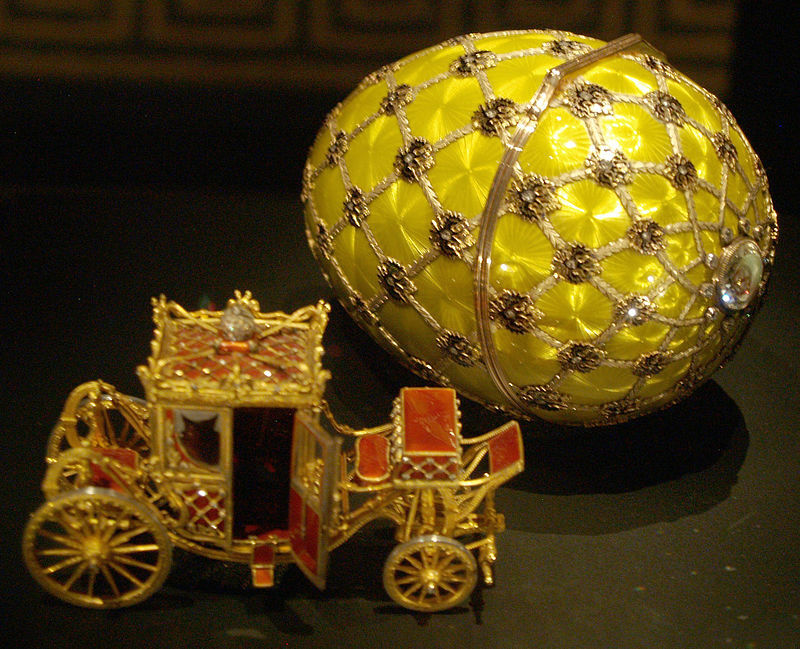 Of course you can make decorative or artistic egg-shaped forms for Easter out of any material from marzipan to gold. There’s probably no need to extol the enormous versatility of the chicken egg. 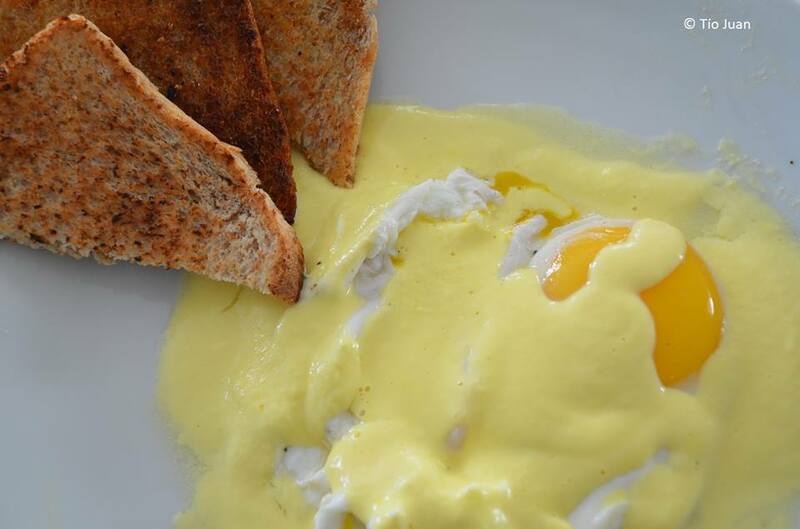 Instead I’ll showcase a dish I made several years ago based on a 14th century recipe: poached egg with a saffron and ginger flavored Hollandaise. You should be able to work it out without a detailed recipe from me. For Easter breakfast or brunch you can whip up a frittata, tortilla, omelet, or quiche is plain eggs are too bland for you. Later you can have a baked egg custard, pancake, flan, or egg-anything-you want. Let’s instead consider the virtues of eggs other than chicken eggs. Duck. Duck eggs are not easy to find in the West, but in Chinese markets they are as common as chicken eggs and can be used in much the same way. I bought them all the time in Yunnan. They are a little more flavorful than chicken eggs – perhaps earthier. Quail. Once quail eggs were hard to find in the West, but I have no trouble getting them in northern Italy now. They’re a little fiddly to cook with. You can boil them, but peeling them is a chore. I usually fry them, but you’ll need quite a few if you are making a meal of them !!! 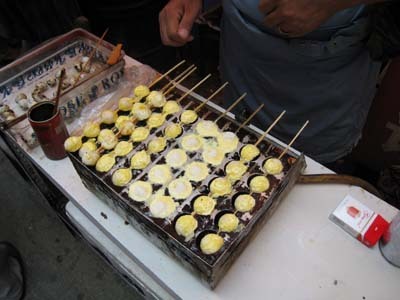 In China they have special utensils for frying them in a row on a stick. This is a great street snack. Usually I chose the option of dusting them with a hot spicy powder. The fun is in the size more than the taste. They’re not so different from chicken eggs in that regard. Goose. 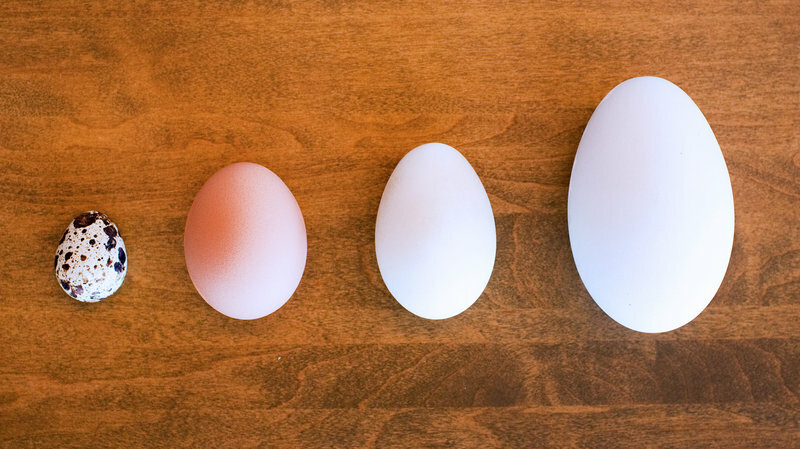 The goose egg is larger than duck or chicken eggs and is decidedly more robust in flavor. They’re hard to find and I don’t care to go to the trouble these days because I’m not a fan of the taste. Ostrich. I’ve never seen ostrich eggs for sale outside of Africa, and even there they are not common. Ostriches don’t produce very many eggs and breeders generally use them to make more ostriches. They are gigantic with an exceedingly tough shell that takes a hammer, or the like, to break into. 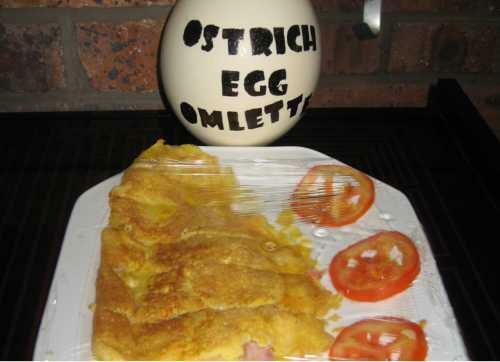 One egg will serve more than one person – scrambled or made into an omelet. They are delicious if you can ever get hold of one that is fresh enough to eat.